When your Windows computer was first set up, you may have created a password that has to be entered every time you start up the computer. So what happens when you forget this password? Is there any way to restore access to your computer? Fortunately, there is. 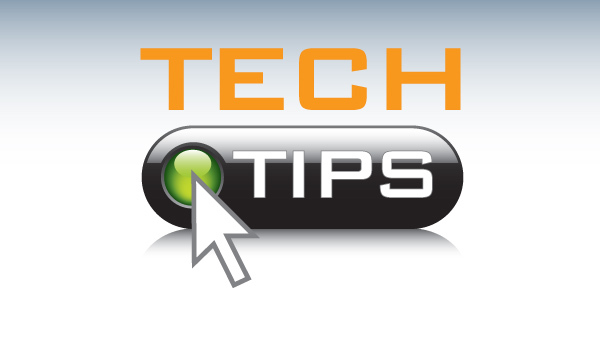 The simplest method to try first is to get into the computer’s Setup menu. When the computer first powers on, you should see a button combination for this briefly listed on the screen somewhere, usually while the manufacturer’s logo is being displayed. Often it is simply the Del or F1 key. Press these buttons while the prompt is still on the screen to go into the computer’s internal Setup menu. From here you may see an option to restore the computer to its factory settings either from a partition on the computer, or possibly from a recovery disc if you have one. This will clear the password. If you are using a recovery disc or a USB recovery drive, you may have to change the order in which the computer looks at devices to find and start Windows. In the Setup (or BIOS) menu, look for an option that allows you to set the “boot order” or “first boot device.” You want the first item on the list to be the CD/DVD drive if it is a recovery disc, or the USB drive if that is where the recovery software is located. Great, but what if you don’t have a recovery disc or partition? Well, there’s one more thing you can try, with assistance from another computer and possibly a more technically inclined friend or relative. Get to a usable computer and download the Offline NT Password & Registry Editor. You will then need to follow the instructions included with the program to set it up properly on a DVD or a USB drive. This is where you may need to enlist the help of someone more technically inclined if you are not used to dealing with software. Once this program is set up on the DVD or drive, you will then boot with it by changing the settings in your Setup/BIOS menu as described above. If done correctly, this software will simply allow you to choose a new password with no further fuss. Just keep in mind that this trick only works with Windows 8.1 and older versions — for Windows 10, your best bet is to contact Microsoft for assistance if none of the above advice is working for you. Follow our blog for more tips on both keeping up with technology and keeping healthy, and feel free to contact us to learn about our health insurance products! There are few things as scary as falling when we get older. Because our bodies change as we age, a fall isn’t the same as when we were younger. Where you used to just jump back up, now you have to worry about injury and possibly a ride to the hospital. How can you avoid falling? While there is no foolproof answer, there are many things you can do to make it less likely that you will experience a fall. You read that right. Exercise will improve your balance and make it less likely that you will fall. The Mayo Clinic web site has some great exercises specifically targeting balance. One of the most basic is the Weight Shift. Standing with feet hip-width apart, lean onto your right foot and lift your left foot off the floor. Stay in that position for 30 seconds, then return to the original position. Switch sides and repeat. The better you get at it, the more reps you should do. There are many things you can do in the home to prevent falls. Make sure to install safety bars for getting in and out of the shower. Be sure to have two handrails on any stairs, and use them both when going up or down. Clear walkways within and outside the home. If you are advised to use a walker or a cane, do so! It doesn’t hurt to err on the side of caution when the risk is a fall. People tend to think they can still do things the way they used to, and don’t listen to their doctor. Don’t like the walker or cane? Get a fun cane, or add stickers to the walker to personalize it. These tools are there to help so take advantage of them! There are many ways to avoid falling, and we have covered only a few recommendations here. If you would like more information on how to avoid a fall, contact us. We will be glad to talk to you in more detail about steps you can take to avoid a fall. 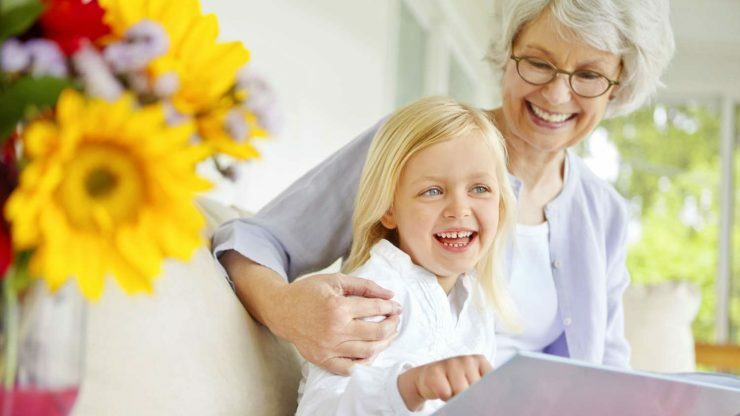 It is a long honored tradition for grandparents to teach their grandchildren skills they have learned from their life experiences. Learning to cook with grandma or tending the garden with grandpa is a rich experience for both. I am a grandmother and retired and interested in learning to do more than just the basics on my computer so I took a word processing class at the library. I practiced at home and my 10-year-old granddaughter was watching me and giving me pointers. I quickly discovered she knew more than I did! So we had a lot of fun experimenting and practiced by pretending to start a business. Our business was a toy shop that specialized in selling teddy bears. We used the word processor to make pretend business cards and fliers about the upcoming ‘Teddy Bear Picnic’ our business was holding to promote our teddy bears. It was so educational for BOTH of us. We learned to make borders on our fliers and a logo for our business. We learned how to add pictures to our text and use different fonts. I watch her after school and it wasn’t too long before she brought home a school laptop to do assignments on. I was still getting used to the idea that they use white boards in schools rather than blackboards! Now they are sending home computers? I was feeling a little out of date! Not to worry though. I commented on something she was doing and she mentioned Power Point. I told her I had heard of it but didn’t know exactly what it was. She said “It’s easy grandma. Do you want me to show you how to do it?” So I learned how to make a Power Point presentation and it was easy and really fun! We had such a good time. It was educational for her as well because she had to figure out how to word things and make a clear understandable presentation. So continue to teach your grandchildren but learn from them too. Their generation is well versed in all things tech. Retirement gives us more time to spend with our precious grandchildren and it is fun to learn new things from them. 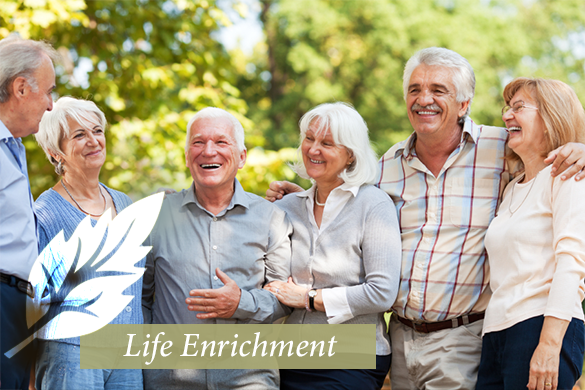 For more retirement info, on a variety of topics, please contact us. We are here to help. Unfortunately, all too many health issues that lead to severe injury or death are linked to preventable and treatable conditions that simply go missed. Americans over the age of 55 benefit from avoiding unnecessary risks and scheduling doctor’s appointments regularly. Healthy living starts with taking precautions. As you age, you need an eye appointment not only to look for changes in your vision, but also to detect underlying health issues affecting the structure of your eyes. Diabetes and high blood pressure are only two issues your eye doctor may be able to spot early. Schedule this appointment at least once every two years. Your dentist can do more than fill cavities. In fact, your dentist can actually scope out your gums for infection that can lead to severe health complications. Dental cleanings are important every six months regardless of how your teeth and gums feel. Checking out your skin for moles and other abnormalities can actually help you stop melanoma in its tracks. If you see any changes to existing moles or see that moles are growing or spreading, you should seek a medical opinion. With early detection, your survival rates are higher. Scheduling your appointments well in advance is essential. 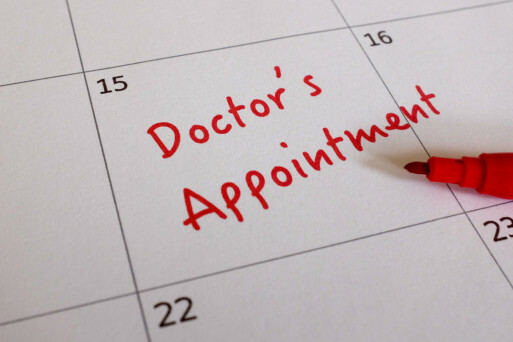 If you forget to make appointments, you can always ask your doctor to schedule your next dental cleaning, physical, or eye appointment before you leave. Do you have questions about your health? Contact us to learn more about your options surrounding healthcare and insurance that will benefit the health of your mind and body. One of the biggest joys of being an older adult is getting to spend time with your grandchildren. However, it is sometimes difficult to relate to small children and find fun things to do with them. Luckily, we have developed a few simple activities that both grandparents and grandchildren can enjoy together. One fantastic thing to do with grandchildren that will help build your bond with them is teach them something. All children can learn something from a grandparent, so be sure to share with them something special. This could be anything from working on cars to sewing clothes. The idea is to teach them something that is hands-on and will give you plenty of time to learn more about each other. Children are also great at playing games, which is another favorite pastime for grandparents and their grandchildren. For more extravagant games, take it outdoors and create a scavenger hunt for your little ones. However, on those rainy days, spending some time playing board games or card games is a great alternative. Taking your grandchildren on a long nature walk is another great activity to enjoy with them. Kids love exploring the great outdoors and will love being able to pick through the nature items they encounter on the journey. You can also get some great exercise and fresh air in the process and enjoy spending time with your grandkids. 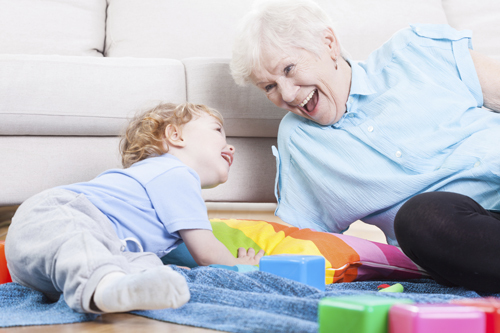 These are all some pretty fantastic activities you can enjoy with your grandchildren. Be sure to keep them in mind the next time you are looking to plan a day with them. To learn even more retirement living tips, contact us today. There are many difficult things about aging. It’s important to eat a healthy diet and to maintain your body through exercise. Another important factor in healthy living as we age is maintaining a healthy brain. Here are some tips for managing your mind. According to Harvard Health Publications, learning is important as we age because it may keep individual brain cells functioning as well as ensuring that they are communicating with each other. Some jobs require a lot of mental work, but if you don’t have one, pursue a hobby, craft, or learn a new skill. Take continuing education classes at the local college. Do puzzles every day. Play chess or Scrabble with your partner to ensure both of you get some mental challenge. Remembering can be difficult as we age, but not impossible. If you repeat what you want to remember, either out loud or writing it down, it will help you to remember. The more often you do this, the better, but not in a short amount of time. Space it out so you repeat it an hour later, then a few hours after that, then the next day. The repetition will help it become engrained. Aging does not mean that you will lose your memory. While there are actual causes of memory loss, missing an appointment or a friend’s name is not necessarily the beginning of forgetting. Everyone forgets, we just believe that we forget more as we age, and this can become a self-fulfilling prophecy. Believe in yourself, and that will go a long way towards keeping your brain sharp. Nowadays, we know so much more about how people work and how to maintain a standard of living that can keep us much more together than long ago. Contact us if you’d like to talk about more ways we can help you to maintain your mind as well. If you’re thinking about checking out a fitness tracker, you’re not alone! Just like you, many seniors are opting to look into wearable devices that will track their activity levels, calories burned, and even their sleep each night. Choosing the tracker that will work for you, however, can seem intimidating–as can learning how to use it! A few simple tips can make the process easier. Think about the features you want. Do you want a device that will automatically track your heart rate at all times? One that will monitor your sleep each night? Or are you just after a tracker that will keep up with your steps all day? Knowing what you want out of your fitness device will help you narrow down the features you need to look for. Decide where you want to wear it. Are you looking for a band that can be worn on your arm, a pin, or a clip-on device, perhaps one that simply counts your steps? It may be helpful to try on a friend’s tracker or visit a store that has them available before deciding on the one that will work best for you. Open the app. You don’t have to have a fitness tracker to check out their apps. Before making a decision, look over the apps to determine whether or not they are easy enough for you to use. Most fitness trackers come with simple apps that are easy and intuitive to figure out. Others, however, may take longer. Be aware, too, that your fitness tracker may not come with a paper manual. You may need to go online to figure out how to use the device. Ask for review from friends. These days, it seems as though everyone is sporting a wearable device. Look for friends who are using them and discuss how they like them. What devices would they recommend? Does anyone have one that they don’t particularly like, but are continuing to use because they made the investment? Deciding on a personal fitness tracker is a process that takes some time and effort. When you find the one that works for you, however, you’ll be delighted by your ability to track your exercise, watch your heart rate, and track other vital information. Looking for more tips on using technology to full advantage? Contact us today! As we age, our bodies change, which means our nutritional needs change. While seniors need the same vitamins and minerals as younger people, they need them in different amounts due to these changes. — Limited income to buy more expensive fresh fruits and vegetables. — Do not know how to cook, have limited access to cooking appliances and utensils, or physical difficulties cooking. In these situations, taking supplements may be necessary. But seniors should always check first with their doctor before taking any vitamin or mineral supplements. So where should seniors focus their attention? The vitamins and minerals listed below are most likely to be deficient for seniors. — Vitamin D: Vitamin D helps the body absorb calcium and decreases risk of osteoporosis, some cancers, and heart disease. We get most vitamin D from sun exposure, but as we age, the skin is not as effective at absorbing vitamin D. Vitamin D is also found in fortified milk and yogurt, fortified juices, and fatty fish. Adults age 51 to 70 years old need 600 IU per day. Adults 71 years and above need 800 IU per day. — Calcium: After menopause, women are less able to absorb calcium. Also, calcium tends to leave the bones during aging. Calcium is found in dairy products, green leafy vegetables, and fortified orange juice. Women aged 51 and older need 1200 mg daily. Men up to age 70 need 1000 mg daily and men age 71 and older need 1200 mg/day. — Vitamin B12: This vitamin is also not absorbed well due to the changes of aging. Also, B12 is absorbed in the stomach and requires stomach acid for absorption. Many seniors take medications to treat heartburn and reflux. These meds block stomach acid production and therefore, interfere with B12 absorption. B12 is found in dairy products, lean meat, fish, seafood, and fortified cereals. Adults need 2.4 mcg daily. — Potassium: Aging also decreased the absorption of potassium, which is necessary for heart, kidney, muscle, and nerve functions. However, the aging process also decreases the kidneys ability to filter potassium from the blood. So you should always check with your doctor before taking supplements. Potassium is easily found in a variety of fruits and vegetables such as bananas, oranges, cantaloupe, and leafy greens. Adults require 4700 mg of potassium daily. For more information on healthy living, contact us. Are you interested in learning new tips and tricks for your smartphone and computer? While you might see the younger generation gaming on their tech, there are plenty of ways your devices can make your life easier and keep you healthy. Here are some ways technology can serve you! Screenshots are an easy way to take a picture of what’s on your computer or phone screen! This helps you remember information, or look back at an image you found online. For Computers: To take a screenshot on an apple computer, hold down the “shift”, “command”, and “3” keys at the same time. The screenshot is then taken and transferred to home screen of your computer. Rather than having to retype something you saw online, why not just copy and paste the text?! This tip saves a lot of time and effort, making it easier for you to transfer text. For Computers: Hold the computer arrow over a piece of text you want to copy, then click down and drag the mouse, highlighting all the necessary words. Next press “command” and “c” at the same time. To paste, click your arrow on a document or search bar, as if you were about to type. Next press “command” and “v” at the same time. The text is then pasted in the desired location. For iPhones: Hold down your finger over the text you want to copy, highlighting an area of words. Move the two lines on either side of the highlighted area in order to adjust the selected text. When you have highlighted the text you want, click the “copy” button that appears above the highlighted area. To paste the text, double tap area you want to insert text and push the “paste” button that appears. If you have relatives or friends that live far away from you, Skype is a perfect tool to communicate with the ones you love! Skype is a free video conference app that downloads on either a smartphone or computer. It enables both callers to not only talk with each other, but also see a video of the other person’s face! Lumosity is an app that uses games invented by neuroscientists in order to enhance attention and memory skills. This app is free from the “app store” on your phone. It’s a great way to keep your mind sharp and play a few games while you’re at it! Instant Heart Rate is an app that allows you to take your pulse directly from your phone. The app is completely free, and uses the iPhone camera to detect the pulse from your fingertip. It functions similar to a pulse oximeter, allowing users to stay healthy and check their pulse no matter where they are! For more information and tips, contact us.